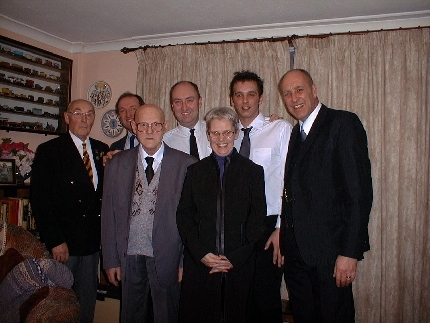 I opened my email on Friday (24/01/03) and was amazed to find a note from Bob Sissons, the grandson of William Sissons. Sadly, Bob had recently lost his father and was browsing the Internet looking for any information that he could find about his grandfather. Fortunately (for me) Bob came across my website and we have been exchanging information since. 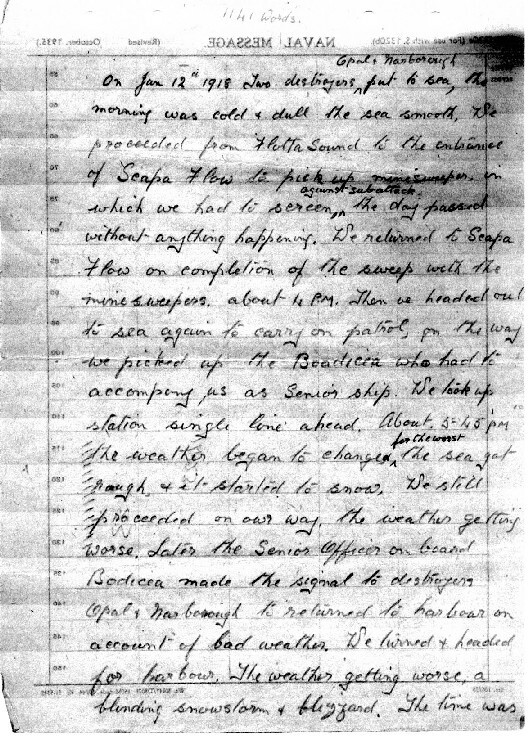 As he was going through his father's papers, Bob discovered an account of the events, handwritten on Admiralty paper by William Sissons - a transcript of which now follows. 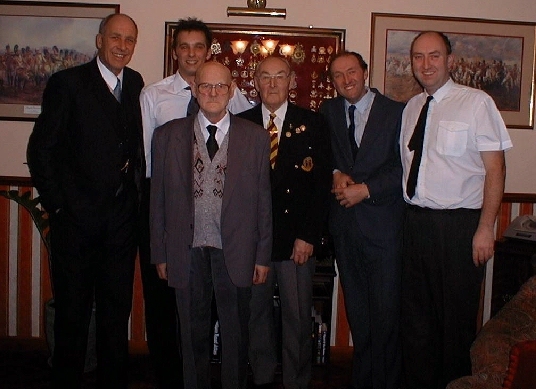 Sadly, I have learned that Bob Sissons passed away suddenly on December 21st, 2006 and my thoughts are with his wife Jan and children. I only knew him briefly as an internet correspondent, but I was immediately struck by his warmth and enthusiasm. These pages are dedicated to him and would not have been possible without his priceless contributions. 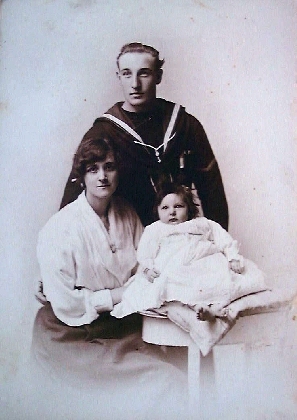 The sinking of HMS Opal & HMS Narborough on January 12th 1918. 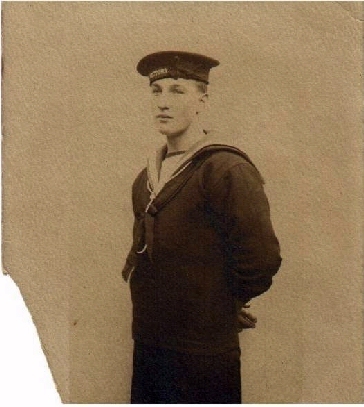 "On Jan 12th 1918 two destroyers Opal & Narborough put to sea, the morning was cold & dull, the sea smooth. We proceeded from Flotta Sound to the entrance of Scapa Flow to pick up minesweepers in which we had to screen against sub attack. The day passed without anything happening. We returned to Scapa Flow on completion of the sweep with the minesweepers about 4pm. Then we headed out to sea again to carry on patrol, on the way we picked up Boadicea who had to accompany us as senior ship. We took up station single line ahead. About 5.45pm the weather began to change for the worse, the sea got rough & it started to snow. We still proceeded on our way, the weather getting worse. Later the Senior Officer on board Boadicea made the signal to destroyers Opal & Narborough to return to harbour on account of bad weather. We turned and headed for harbour. The weather getting worse, a blinding snowstorm and blizzard. The time was about 8.50pm. I had now took over Gunlayer of the first watch. About 9pm I received orders to close up round the sounding machine. We were still in plenty of water. About 9.30pm there was a bump and a grating and we realised we were aground. The engines were put into full speed astern, it was no use, we were jammed. We had a stern sea all the way which was filling the ship up. It was impossible to see the focale head. On grounding I got back to my gun platform. 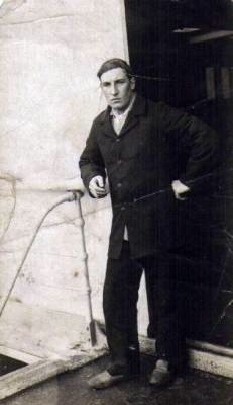 The crew who were in the focale asleep rushed out, at the same time a sea rushed along the deck & knocked some men over the side, others clambered into the whaler, as the whaler was being lowered another sea cleared the deck hitting the whaler & breaking the davits. I then got around the funnel on to a lifebelt rack. The weather was now much worse, my hands were frozen, as I had a knife I was able to cut the cover of the lifebelt rack & get at the lifebelts, I passed the lifebelts out to some of the men who were sitting on a carly float between the funnels. I then felt for another lifebelt which was at the bottom, the only one left, at the same time a sea passed over us & it pushed me in the rack. When I got out with the only lifebelt, the carly float & men were gone. I then put the lifebelt on & jumped up to the angle iron that held the syrens pulled myself up & got into the funnel. There was already four or five men sitting on the grating inside the funnel. I stood with my back to the sea which was now breaking over the funnel. After being in the funnel for about twenty minutes, things began to get moving. The foremost funnel broke at the deck & fell into the water, then the after funnel & bridge went, leaving the centre funnel I was in. Then the funnel tilted, I jumped out & was left to the mercy of the sea. Some officers were trapped in their cabins as they were battened down aft & could not get out as the seas were running the full length of the ship. The ship ‘Opal’ had broken in half which made her lower in the water aft. By this time I was being buffeted about in the water amongst all the wreckage & fuel oil. Later I came to a rock but was unable to climb up. I was beginning to feel all in. The next thing a carly float bumped against me. Then my feet got jammed in the rocks (I might mention that the place where we grounded was Ronaldshay Bay). I did not have the strength to do much now, so I laid there the sea banging me against the rocks. I must have been unconscious for a time because the next thing I remember was laying on my stomach up clear of the water early hours of the morning the 13th Jan Sunday covered in snow. I tried to stand up but found my hands & feet were numb. 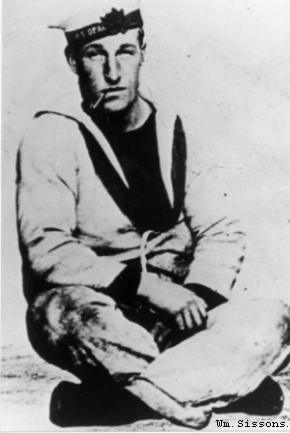 So I made an attempt to to crawl up the rocks on my elbows & knees, as I went forward through the snow I found one of my shipmates a Ldg Seaman by the name of Cook, dead. So I got up as high as I could & dragged my shipmate up as high as I could, as the returning tide would have taken him off the rock we had got on to. I settle myself down & wait to see if anyone would come & pick me up. Nothing happened all day Sunday the 13th. On Monday morning I thought I would drift to sea on a carly float. I managed to get the float into the water off the ledge that I was on, which was very difficult owing to my hand & feet were frozen. As I was preparing for my adventure a trawler came in sight the Michael Malonay I think her name was. So I climb around to an advantage point picked up two hand flags that were floating amongst the debris & signalled to them who I was. The weather had improved it had stopped snowing & the sea was smooth again, with a heavy swell. The trawler lowered a small boat & two of the crew got in & got to me after a lot of trouble, the swell being heavy lifted the boat about, which might have been holed as there was a lot of small rocks they had to go through. They got me off & turned me over to a whaler that was looking for us belonging to the Peyton. I was taken aboard the Peyton who steamed to Scapa Flow & turned me over to the hospital ship ‘China’. On the way to harbour all aboard the Peyton done what they could for me. The surgeon rubbing my hands & feet with snow to try & get circulation. On arrival in the hospital ship I was examined, I fell asleep for thirty six hours the same number of hours I was ashore. 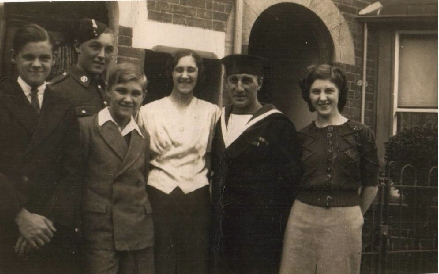 I spent nine days in the hospital ship & then transferred to to Haslar hospital where I spent nearly three month suffering from frost bite & immersion, I was eventually discharged to duty & sent to another ship. The Narborough grounded astern of the Opal & broke up how the ships company faired on that ship I cannot say, but there were no survivors. I was the only sole survivor of the two destroyers & the only one that knows what the ordeal was like." 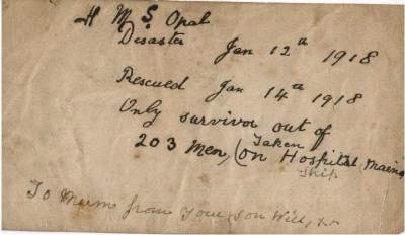 The above account was hand written in pencil on Naval message paper with a revision date of October 1935 and so must have been written sometime after then. Paul (grandson) and Michael (grandson).